It was just after a big snowstorm in Detroit. Fatima’s youngest, Makell, was shoveling snow outside and let me know I’d found the right place. I climbed the off-kilter concrete stoop to the house they rent. 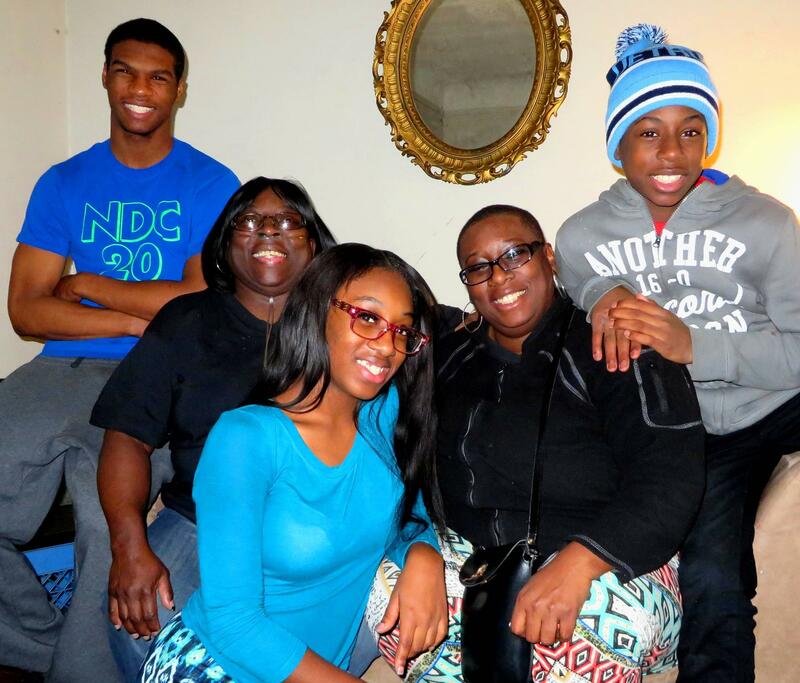 Fatima Mixon's family. (l to r) Kevin, Myra, Kyra, Fatima, Makell. Fatima hasn’t held a job for several years. She’s been a stay-at-home mom. LG: Finally? We all laughed. “Finally. Yeah. It’d been a while for her. I’m proud of her. She actually stuck to something and now she’s about to complete it," he then smiled again and looked at Fatima. "I might ask her to borrow something to eat,” and he laughed again. I'm putting a lot of applications everywhere. I've heard a few things back, but nothing really solid, so hopefully real soon I'll be working. Fatima, knows the expectations of her kids, the expectations of her mother, the expectations she’s put on herself and meeting all of them will determine the future of the family. That's a lot. In our next report, we’ll visit with Fatima again, to see how that job search is going.